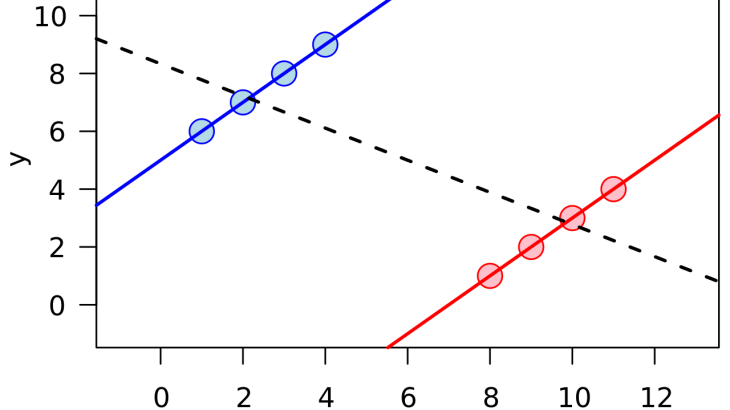 Simpson’s paradox, or the Yule–Simpson effect, is a paradox in probability and statistics, in which a trend that appears in different groups of data but disappears or reverses when these groups are combined. It is sometimes given the impersonal title reversal paradox or amalgamation paradox. Tom Rogers (@MoviePhysicsGuy) has a good example on his website. There are also several examples of Simson’s paradox on Wikipedia. Articles Edward H. Simpson, probability, Simson's paradox, statistics, Udny Yule. permalink.